Réunion is an island located in the Indian Ocean, east of Madagascar, about 200 kilometres (120 mi) south west of Mauritius, the nearest island. Administratively, Réunion is one of the overseas départements of France. Like the other overseas departments, Réunion is also one of the twenty-six regions of France (being an overseas region) and an integral part of the Republic with the same status as those situated on the European mainland. 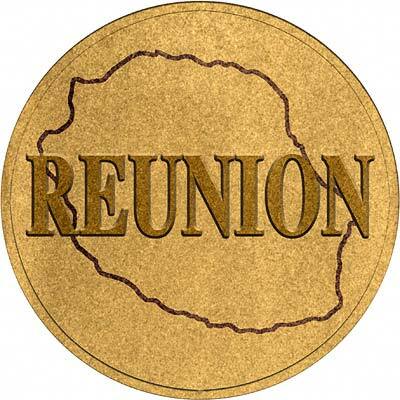 For silver and base metal coins of Reunion, please look at our original Chard Coins website. We make an active market in almost all world coins, gold or otherwise, including Reunion gold coins. If you have any of these coins to sell, please contact us, or post them to us for appraisal and offer.